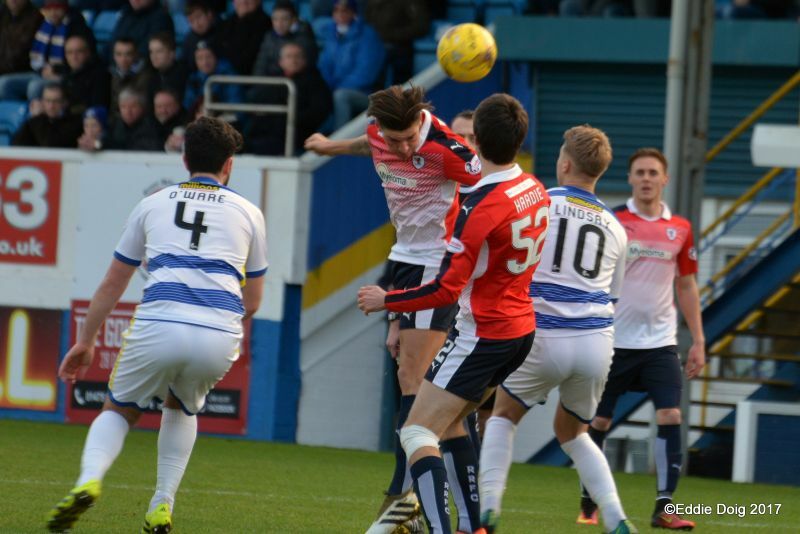 Raith Rovers winless run stretched to nine games this afternoon, after a dispiriting 2-0 loss to Morton at Cappielow. 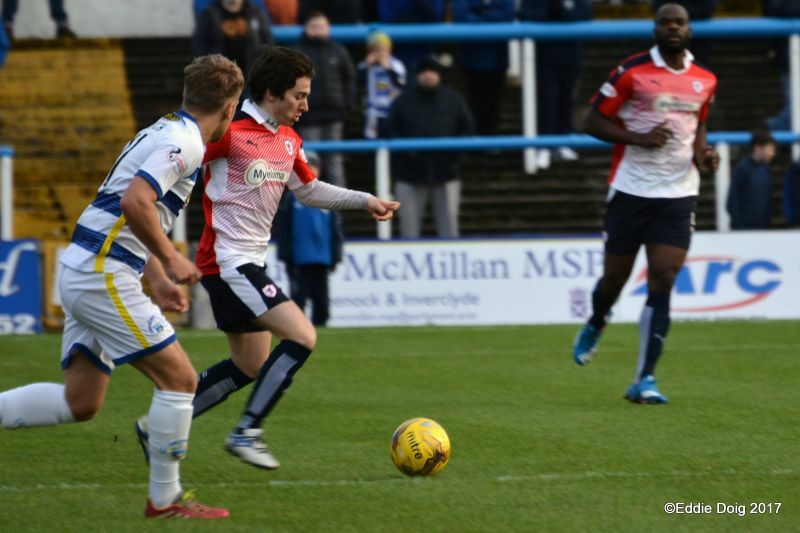 Gary Locke made one change from last weekend’s 4-1 home defeat to Falkirk. 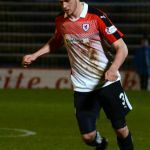 Jean-Yves M’Voto returned from injury to the central defensive area, with Iain Davidson moving over to the right-back position, meaning captain Jason Thomson dropped to the bench. 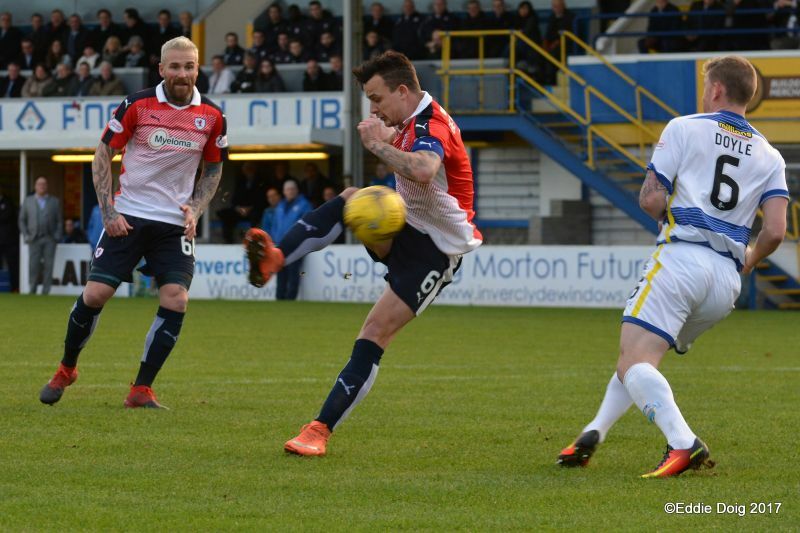 Up front, Ryan Stevenson retained his place alongside Ryan Hardie, despite reports that the former Ayr and Hearts player would miss out, after picking up a head-knock during the aforementioned Falkirk defeat. 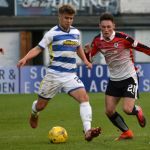 Whilst Morton went into the game unbeaten at home this season, the loss through injury of forward Jai Quitongo and the recent departure of defender Gavin Gunning to Grimsby, meant that on paper, this appeared as good a time as any to come up against Jim Duffy’s team, and the early indications were that was indeed the case. 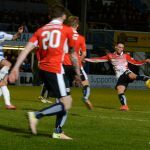 Both teams looked eager to get forward in the opening moments, with Kyle Benedictus forced into action from a Jamie Lindsay shot, but from his block, Rovers were straight down the other end, with Kevin McHattie’s drifting cross clutched under the crossbar by Derek Gaston. 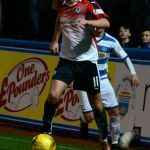 It was an encouraging start to the match, and Hardie was presented with an opportunity a moment later, when a cross from Stevenson fell to him in the middle of the penalty box, but after initially doing well to control the ball, he was eventually crowded out before getting the chance to provide a finish. 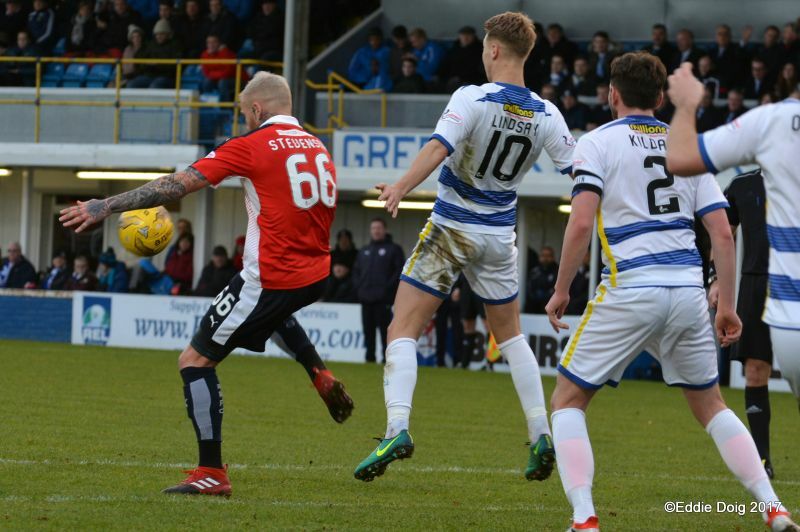 Chris Johnston was the next to threaten, but after being teed up, again by Stevenson, his finish from inside the area lacked any conviction, and was easily scooped up by the Morton ‘keeper. 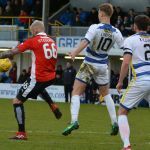 Morton had started the game in disappointing fashion, with Ross Forbes free-kick summing up their opening quarter of an hour, with his mis-hit set-piece barely leaving the ground, bouncing twice before dribbling onto the ash that surrounds the park. 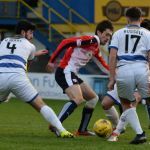 While Rovers had been the better side, as the half wore on, the concern grew that they’d yet to really test Gaston, a situation which became even more frustrating when Morton took the lead after 27 minutes in unusual circumstances. 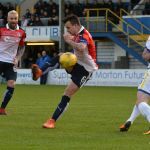 Forbes sent a good ball into the area for Lawrence Shankland, but it was just too high for the striker, who’d made a darting run through the six-yard-box. 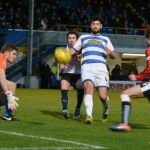 However, in anticipating a touch from the Morton player, the Raith goalkeeper didn’t have enough time to adjust his feet, and the cross ended up slowly drifting into the net to give the Ton the advantage. 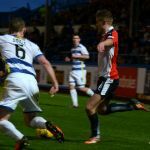 Like last week, the concession of a goal clearly rocked the side’s fragile confidence, and Morton almost doubled their lead five minutes later, when Thompson was caught in possession by Andy Murdoch 25 yards from goal, but his shot was just too high. 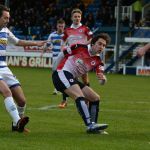 As the first period drew to a close though, Rovers again started to reassert themselves, and they were unlucky not to equalise in the final minute of the half. 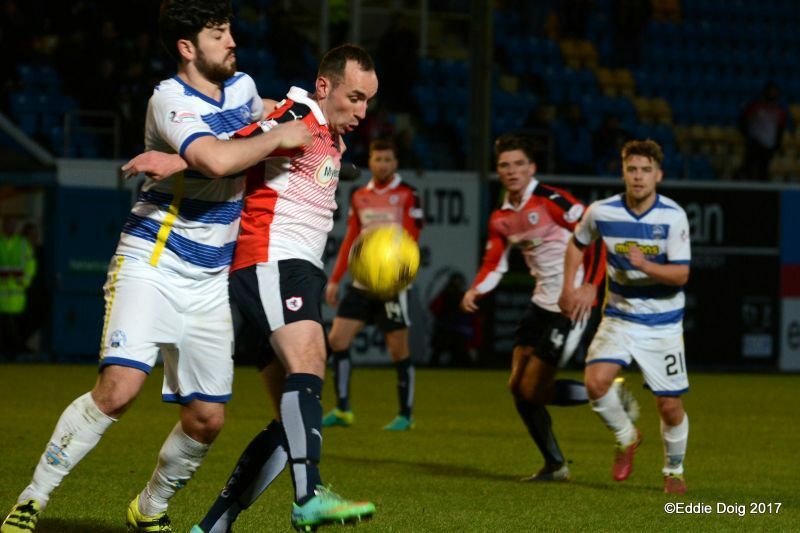 Bobby Barr did all the hard work himself, dispossessing Michael Doyle and dribbling along the edge of the box. 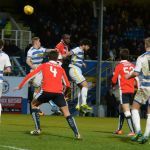 After finding room to shoot, his initial dig was blocked, but with the rebound falling kindly for the winger, his second effort was far sweeter, with Gaston tipping it over the bar with a fine display of agility. 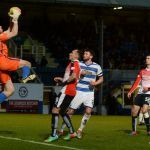 The second half began in a fairly grim, scrappy fashion, with neither side able to fashion out too many impressive moves, although Ross Callachan’s fierce shot in the 55th minute, at least forced Gaston into a save, gathering well at the foot of his left-hand post. 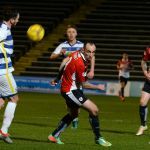 Rovers should really have equalised two minutes later, but when Hardie was presented with a clear run at goal, his finish was of the powder puff variety, allowing the chance for Gaston to get down and smother it. 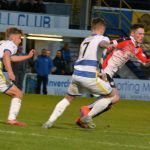 Morton had yet to really threaten in the second period, but they were sparked into life by Aidan Nesbitt, after he ghosted past Davidson and saw his first shot blocked, while his second curling attempt was held by Cuthbert. 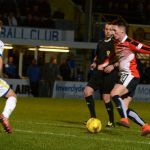 With 25 minutes remaining, Gary Locke made his first change, swapping Mark Stewart for Johnston, but the away side found themselves two down almost immediately. 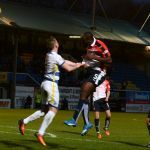 Stevenson’s attempted clearance cannoned back off M’Voto, and was then only half cleared out wide to Nesbitt. 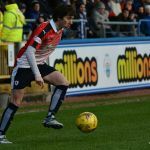 He again jinked past Davidson, before lifting a cross to Shankland at the back post, who had the easy task of heading home from close range. 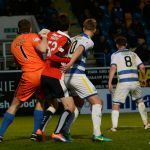 That appeared to be game up, as Morton started to express themselves, with Shankland laying off to Gary Oliver, whose attempted lob over Cuthbert from thirty yards drifted just over. 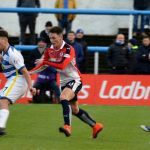 With 15 minutes left, Locke made his final changes, swapping Hardie and Stevenson for Scott Roberts and Declan McManus, as the boss went for broke. 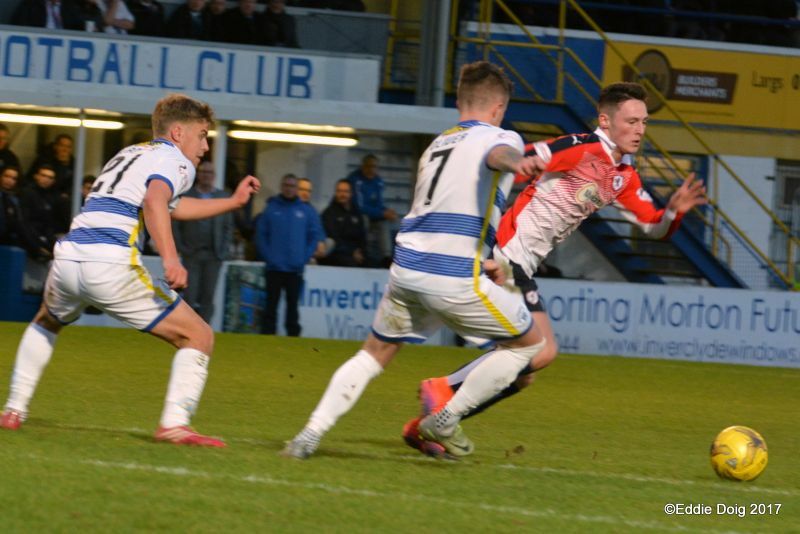 Two of the subs combined with ten minutes remaining, with Roberts setting up Stewart whose shot was turned wide by Gaston from close range. 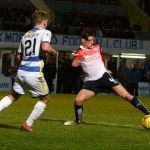 However, it was as close as Raith would come to scoring in that final period of the match, as Morton held out fairly comfortably to take all three points, taking them nine points clear of Raith, and lifting them to within five points of Dundee United with a game in hand. 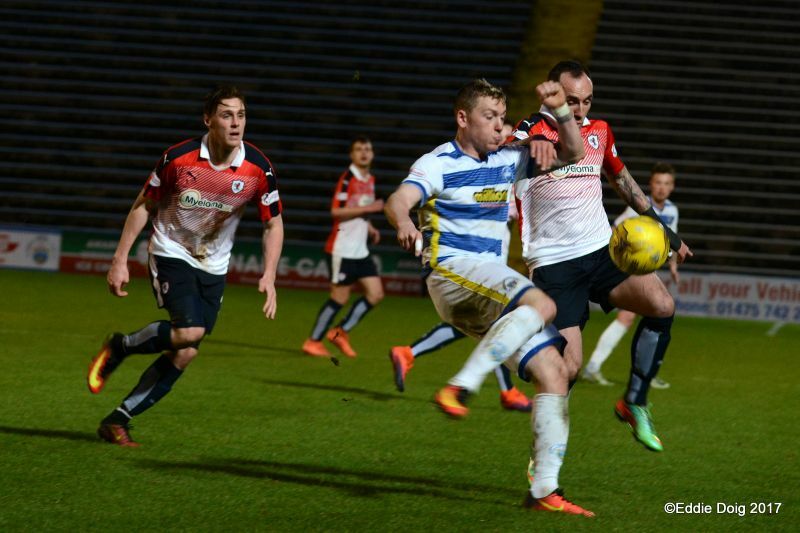 Rovers can now enjoy some brief respite from the league, with a game next Sunday against Hearts in the Scottish Cup. 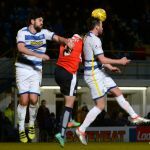 Welcome to Cappielow, it's a balmy 4 degrees on the Clyde Riviera and the sky is slightly cloudy. 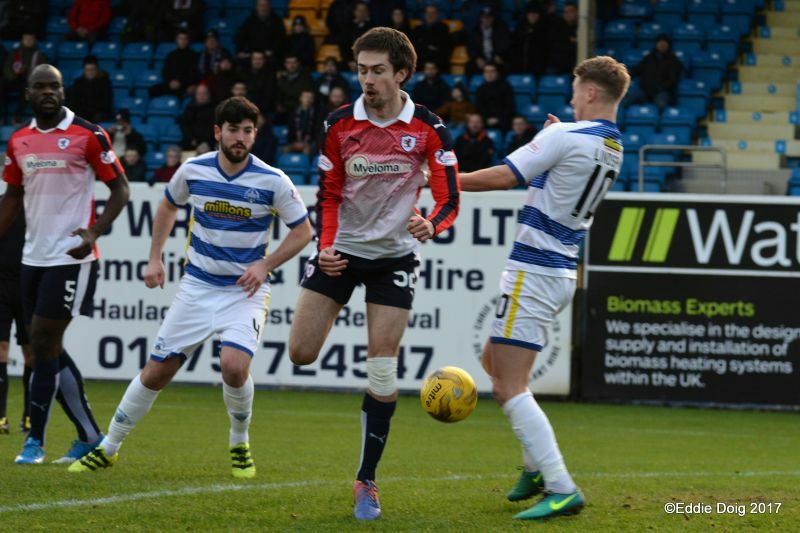 1/2 Both sides with loan players, Raith Rovers have Ryan Hardie from Rangers starting. 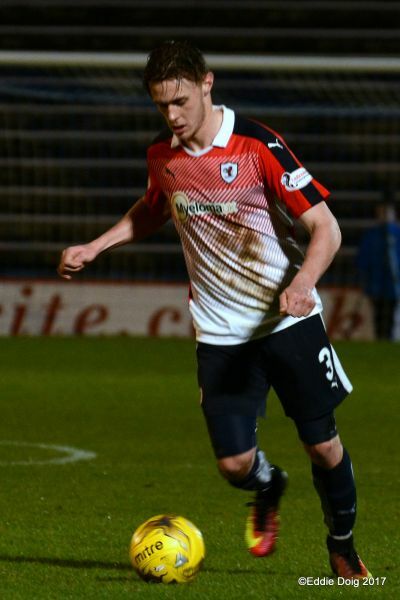 2/2 Morton have Lawrence Shankland from Aberdeen in the starting eleven, both played with St Mirren previously. 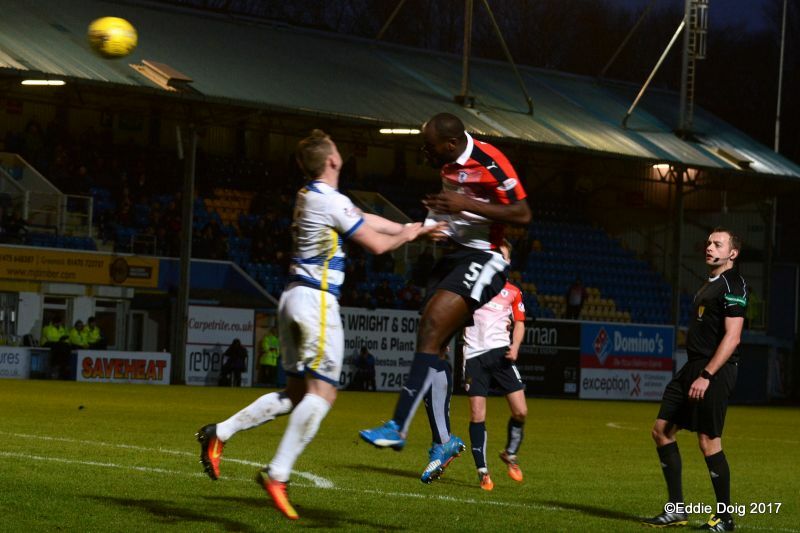 Jean-Yves M'Voto is back in the heart of defence for the Rovers. The teams take to the pitch. 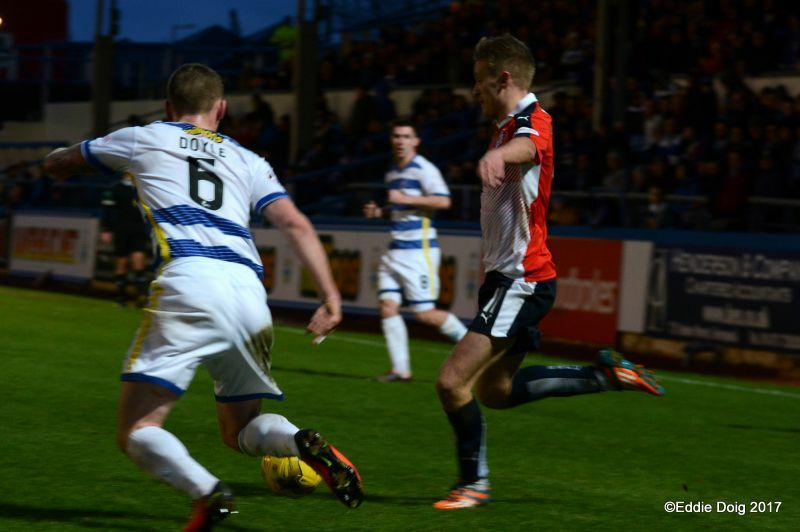 McHattie with a cross which nearly crept in at the top back post. 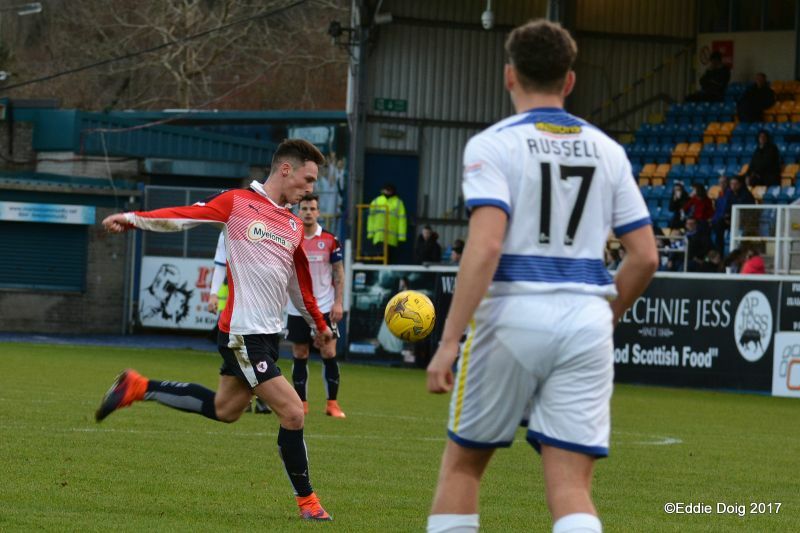 Benedictus sees enough of the ball to deny Shankland. 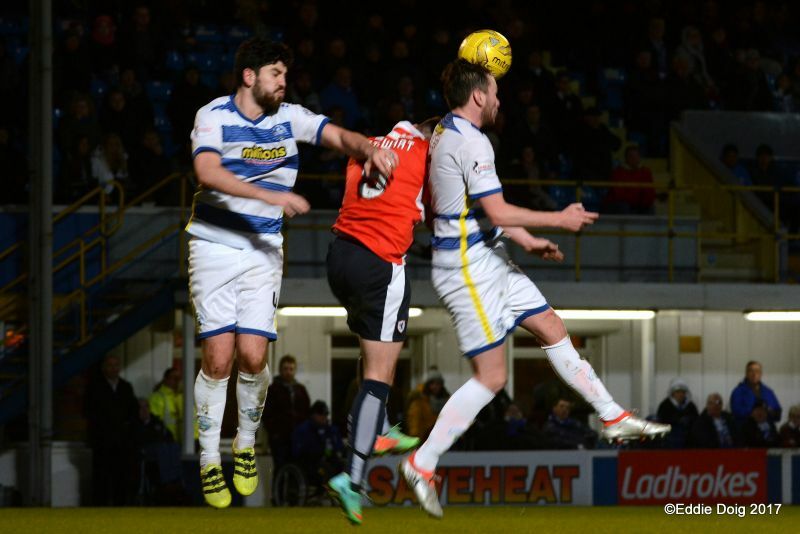 Forbes hits a curling shot which Cuthbert had covered. 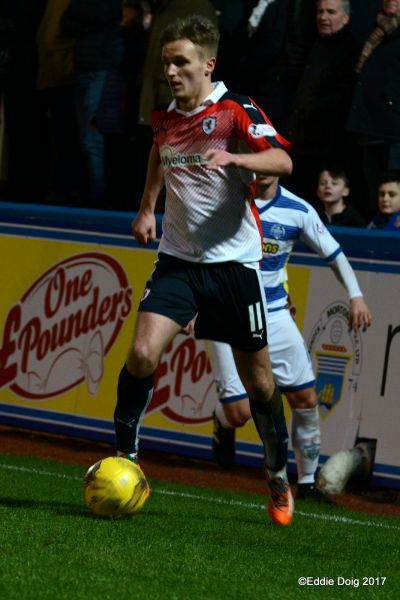 Hardie almost scored with a cheeky back heel. Stevenson lays off to Johnston whose shot from 12 yards was gathered by the diving Gaston. 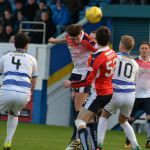 Benedictus and Forbes collide, Morton free kick, Forbes sclaffing the ball wide. 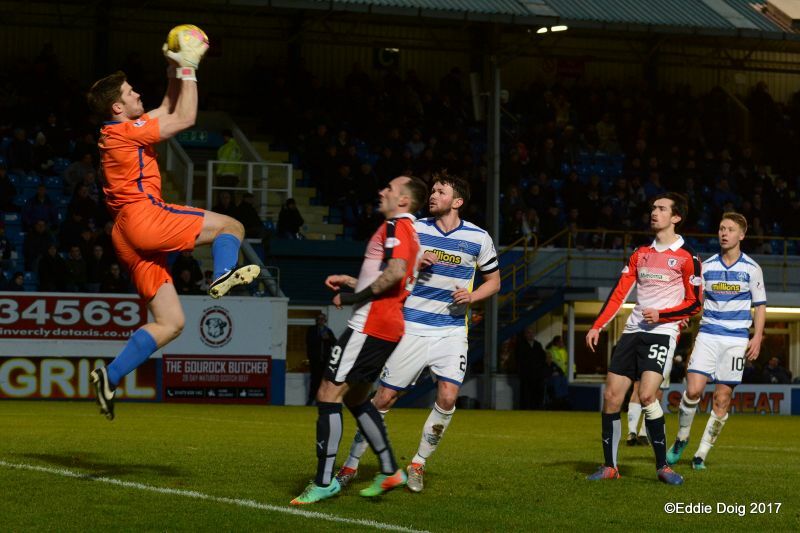 Cries for a penalty as Johnston is downed in the box, 50/50 in my book. Stevenson has a shot blocked in the box. 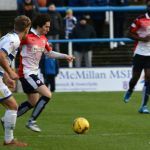 The presence of Stevenson up front is giving the Rovers plenty options. This is end to end stuff. Callachan feeds Stevenson on the left his pass to Hardie is just picked off by Gaston. 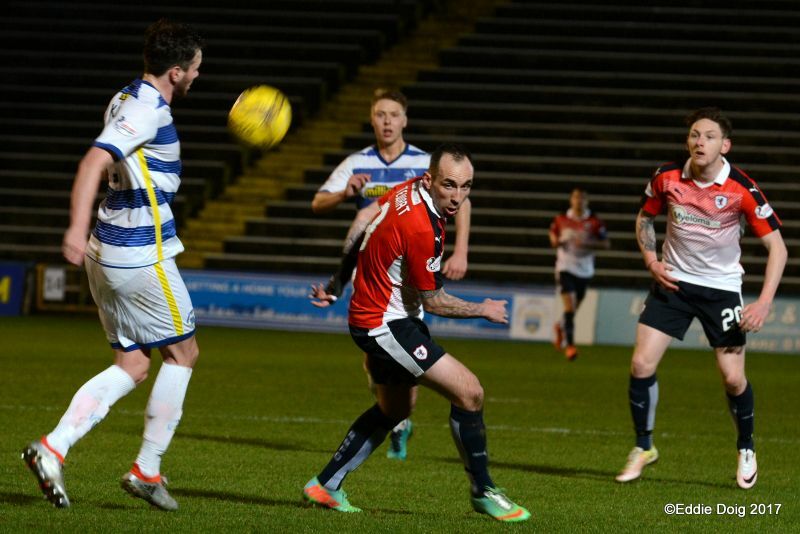 Ross Forbes with a cross from the right watched the ball go over the rising M'Voto and in at the back post. 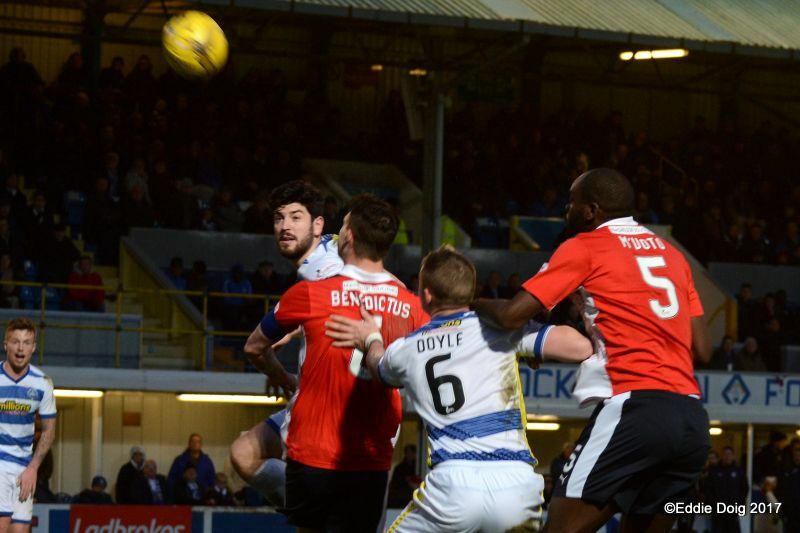 Rovers keep pressing, looking for the equaliser. 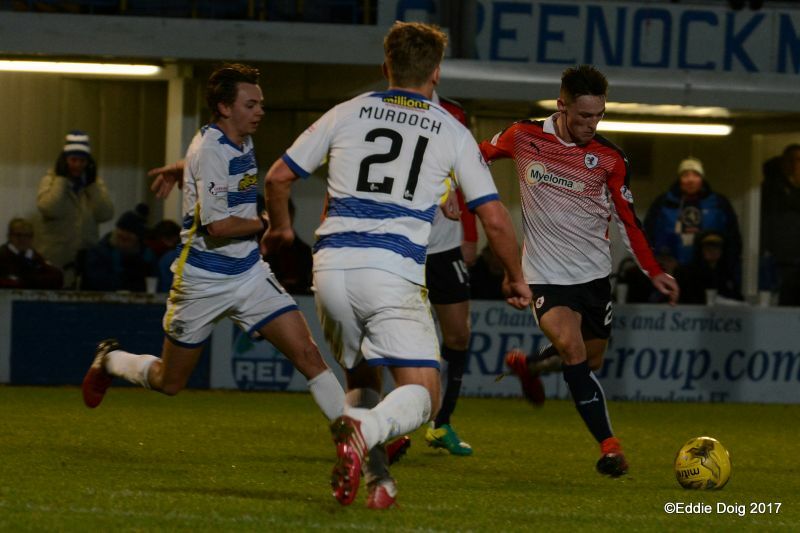 Murdoch dispossessed Thomson and fired the ball over the bar from 25 yards. 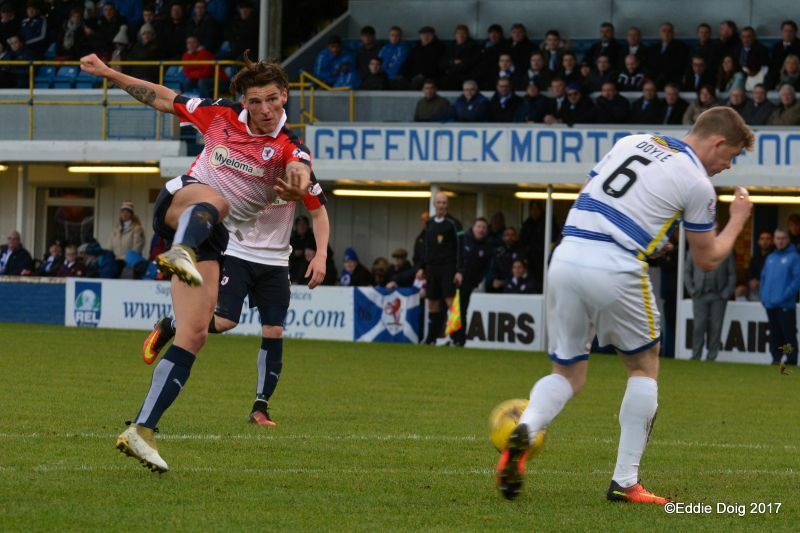 Hardie shakes off his marker and shoots just over from the edge of the area. 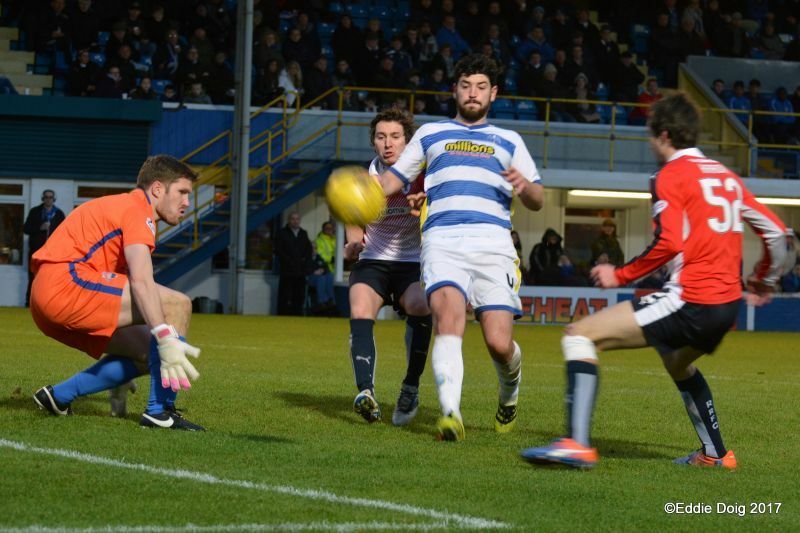 From a corner O'Ware tried to back heel the ball into the net but Cuthbert was at hand to clear. Barr shoots the deflection comes back and his shot is tipped over the bar by Gaston. 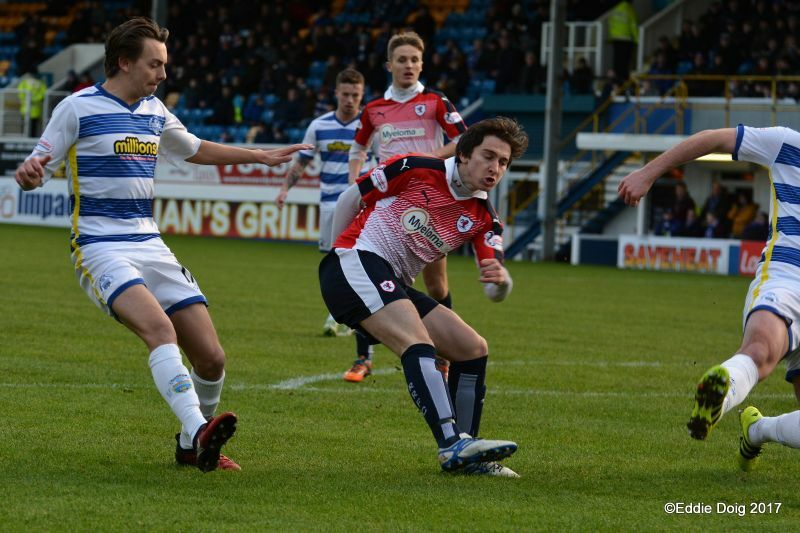 The teams are separated by a lucky cross by Forbes which crept in at the back post. 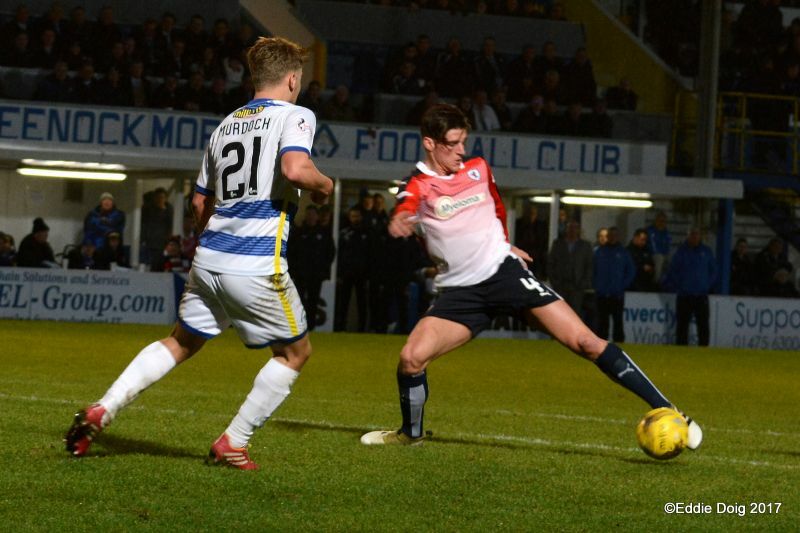 Morton 1-0 Raith Rovers. Both sides are unchanged for the second half. 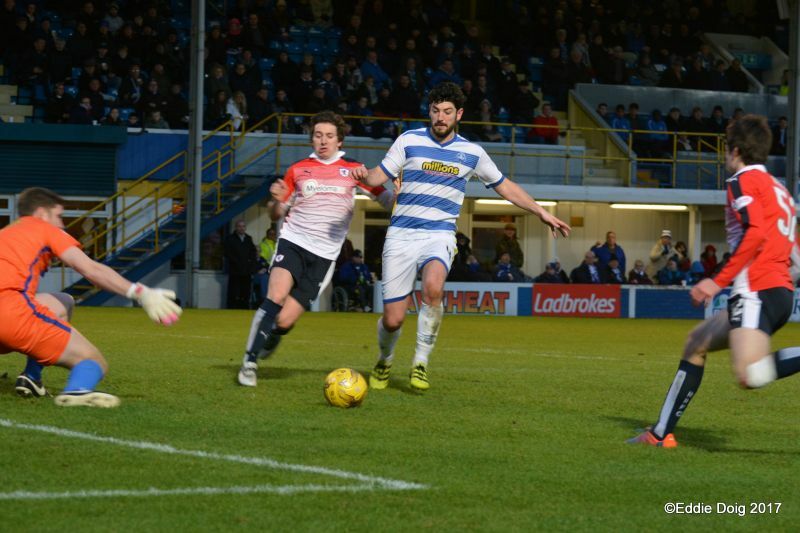 A mistake in the Morton defence almost let Barr through but the ball ran out of play. Mr Duncan has a word with Davo. 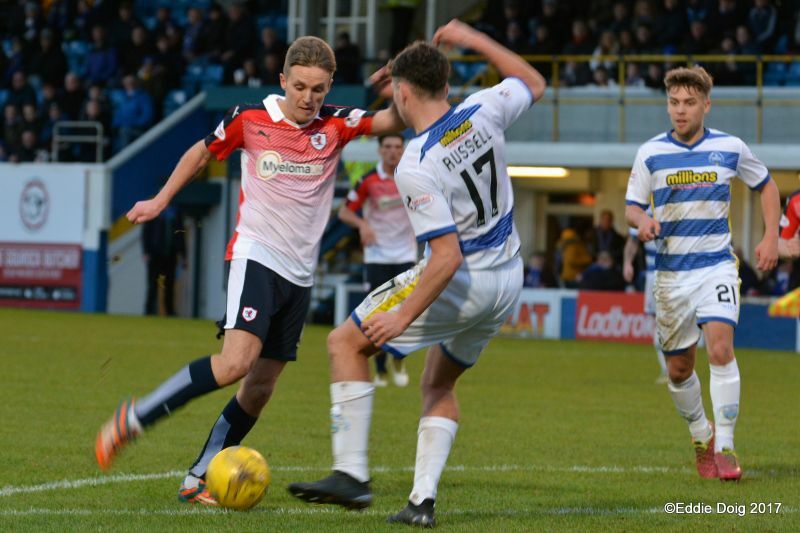 Good vision from Stevenson released Johnston whose shot was deflected for a corner. 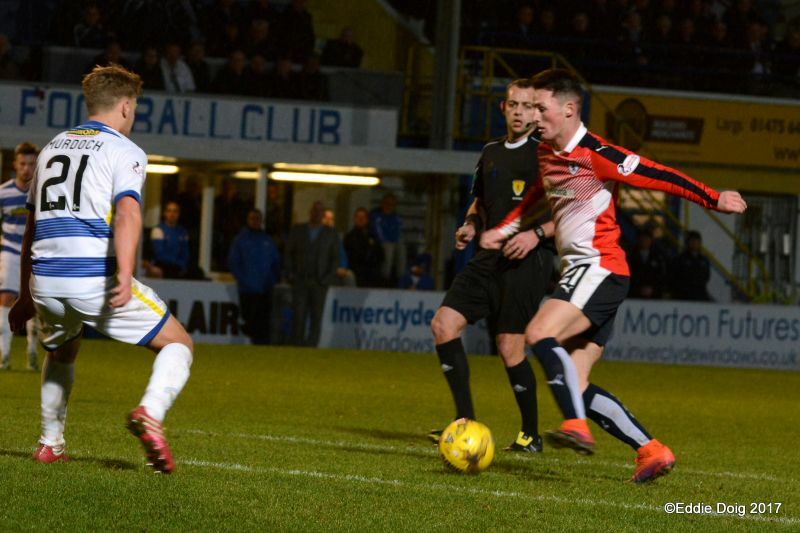 Nesbitt tries from distance but his shot goes way past the back post. 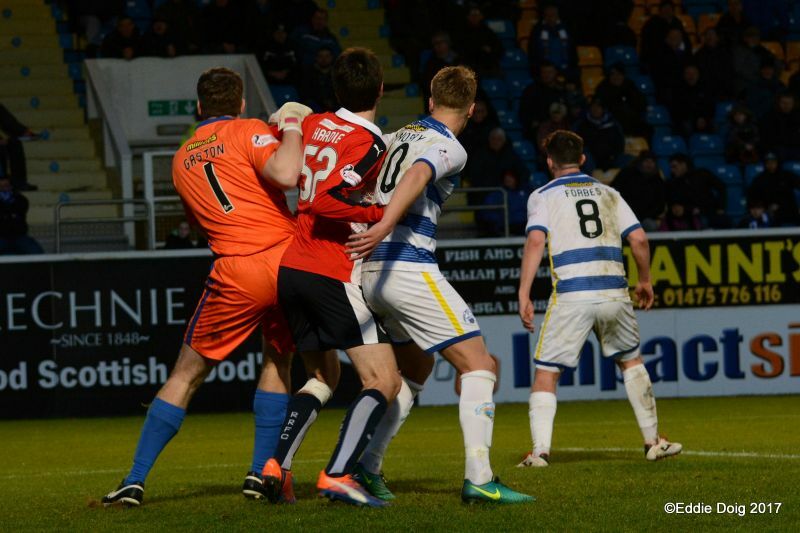 Ross Callachan has his shot deflected and into the arms of Gaston. 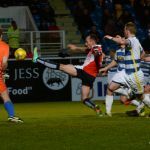 Hardie through has a shot blocked at the feet of Gaston. The ball is recycled from a corner anf Jean-Yves tamely heads thd ball into the arms of Gaston. 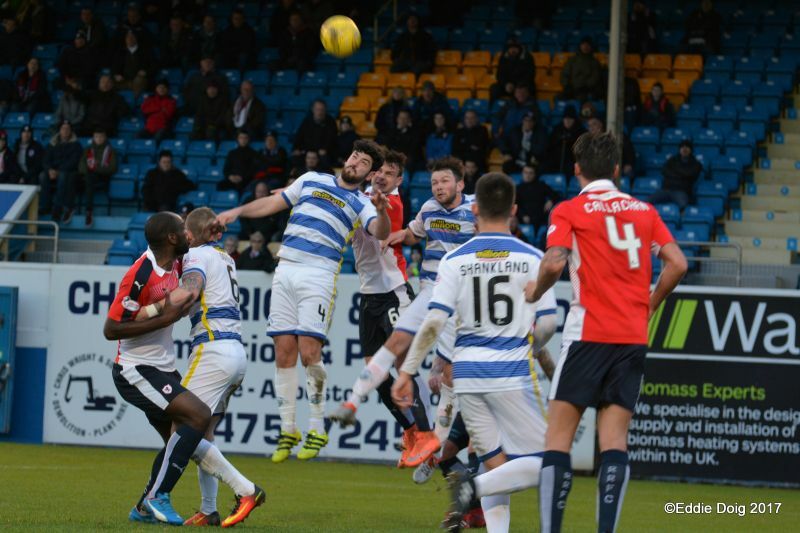 Rovers loaded the attack on a breakaway but Johnston's cross in was too high. 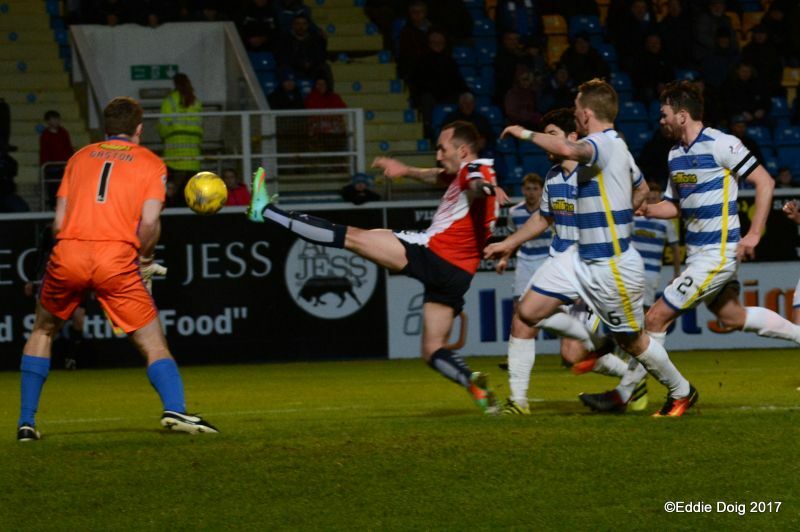 Shankland and Nesbitt are denied with successive shots on goal. M'Voto clears a rouge cross from the line. 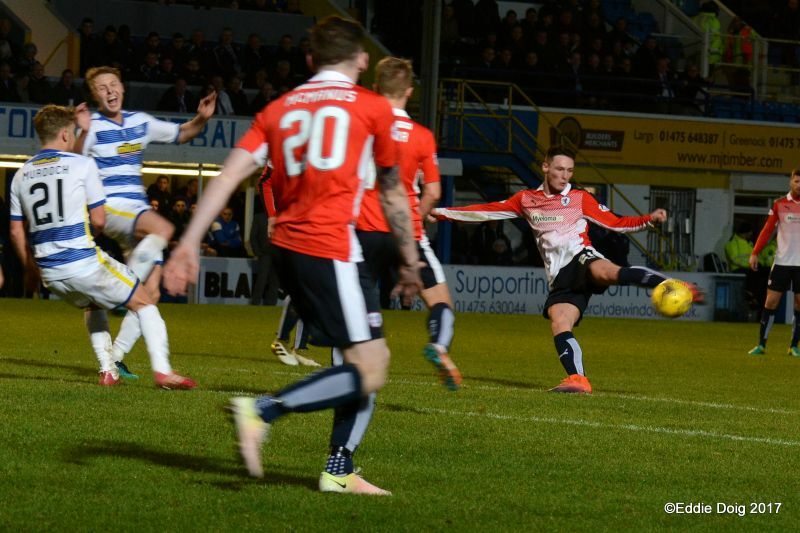 Chris Johnston shoots just over the bar from the edge of the area. 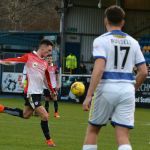 Goal Morton, Russell crossed for Shankland to head home at the back post. 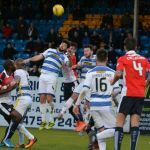 Oliver going for an audacious lob from 35 yards watched as the ball drifts over the bar. 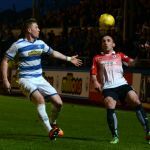 Stevenson and Hardie off, McManus and Roberts on. Davidson yellow for back chat. 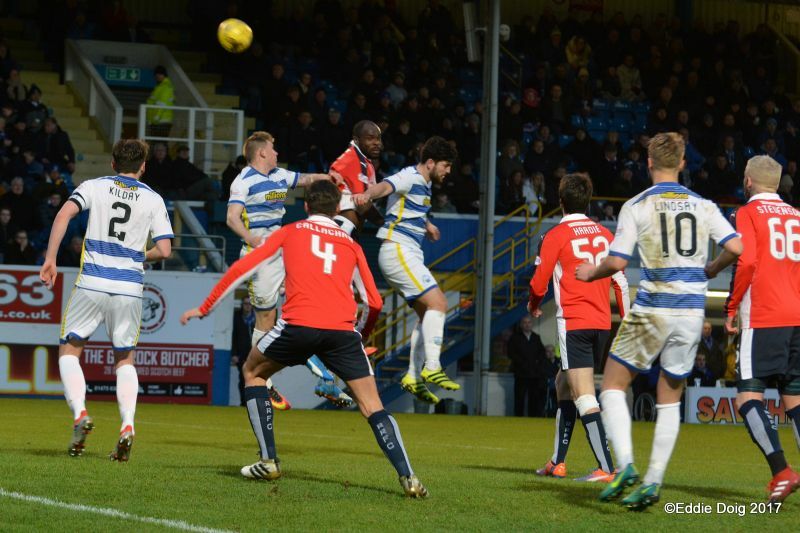 Roberts fed Stewart whose shot from a tight angle is palmed round the post by Gaston. 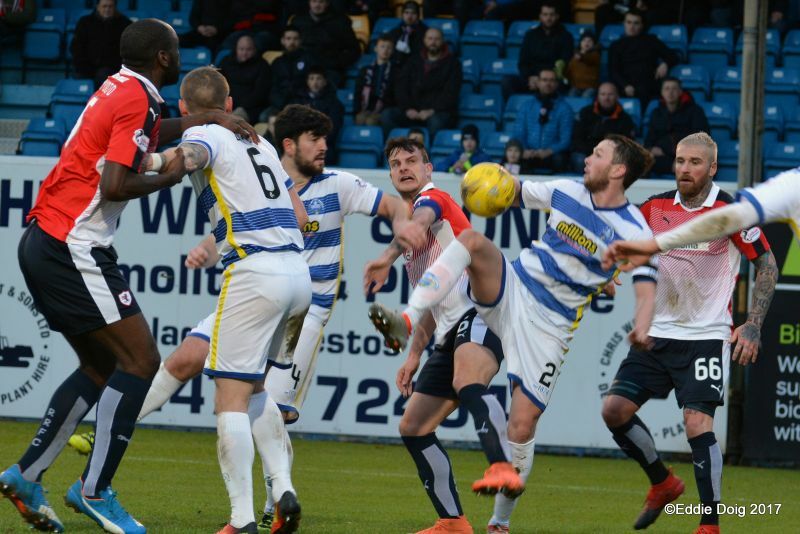 Jean-Yves is denied by Gaston from the corner. 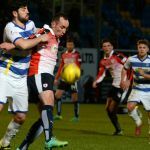 Rovers losing a bit of shape trying to get back in the game. 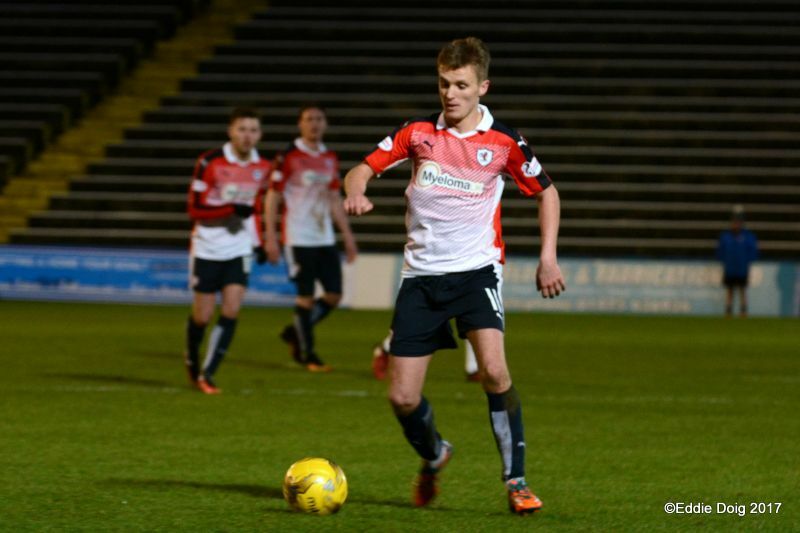 Thomson dinks the ball wide from 25 yards. 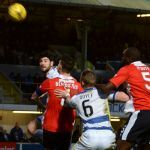 Keystone Kops as Mr Duncan blocked a Morton attack. 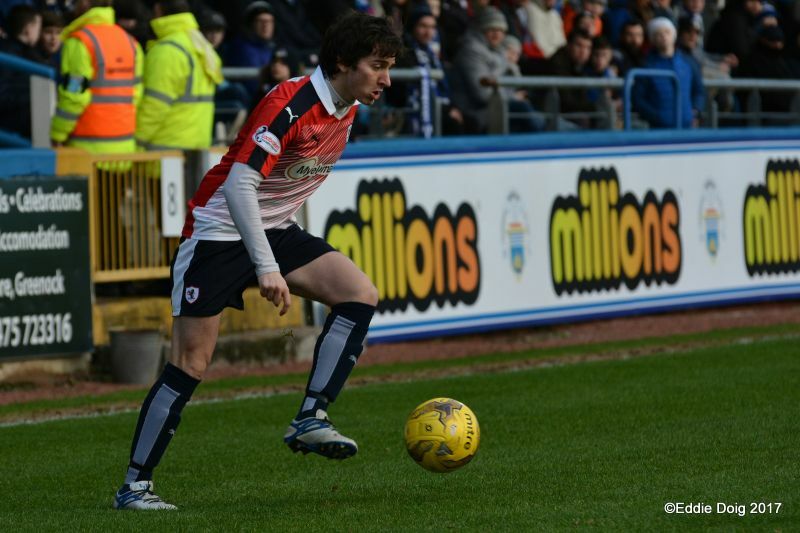 +1 Shankland off, Lamie on. 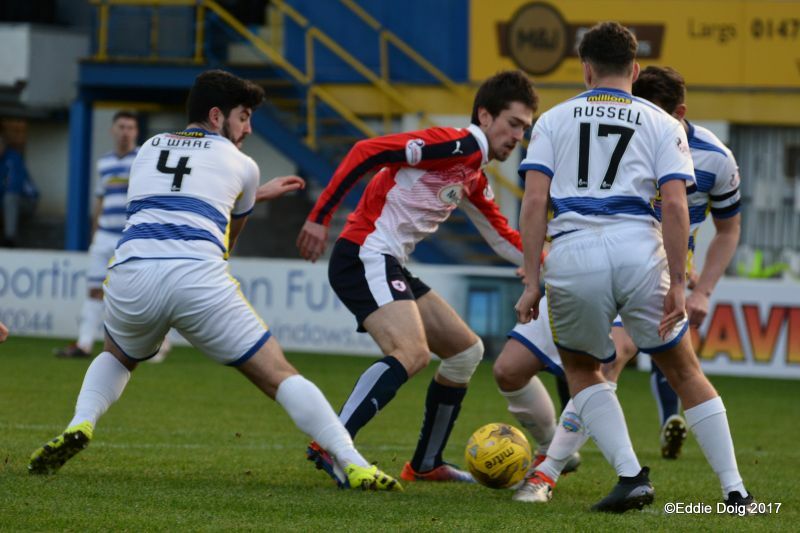 Gaston, Kilday, O'Ware, Doyle, Oliver, Forbes, Lindsay, Nesbitt, Shankland, Russell, Murdoch. 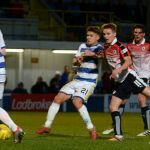 Subs, McGowan, Lamie, Tidser, Scullion, Orr, Tiffoney, Strapp. 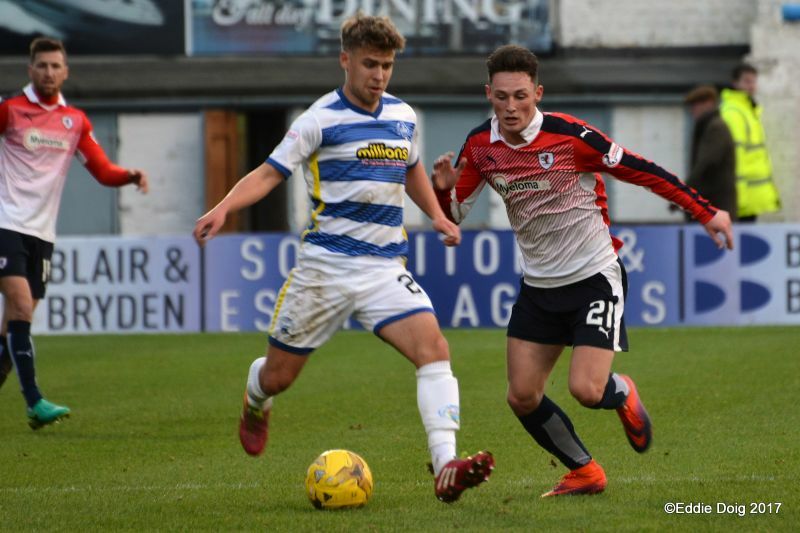 Raith Rovers, Cuthbert, McHattie, Callachan, M'Voto, Benedictus, Johnston, B Barr, Davidson, Jordan Thomson, Hardie, Stevenson. 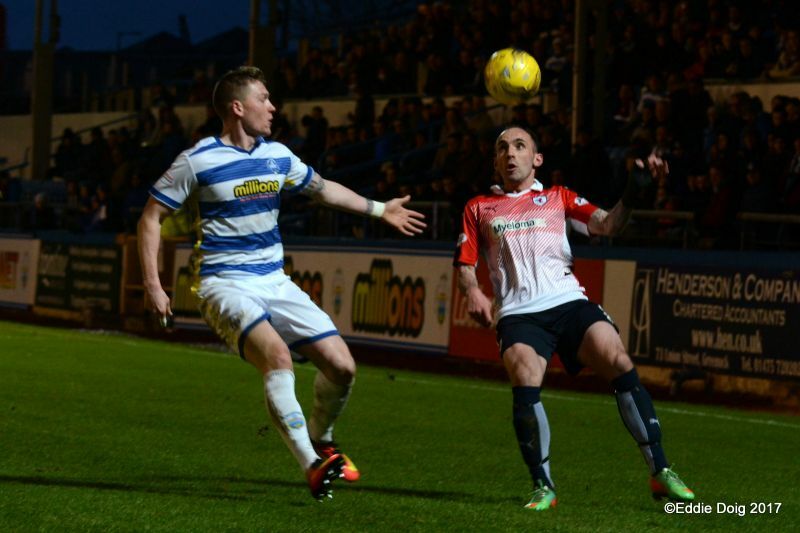 Subs, Brennan, Jas2on Thomson, Stewart, Roberts, Skacel, McManus, C Barr. 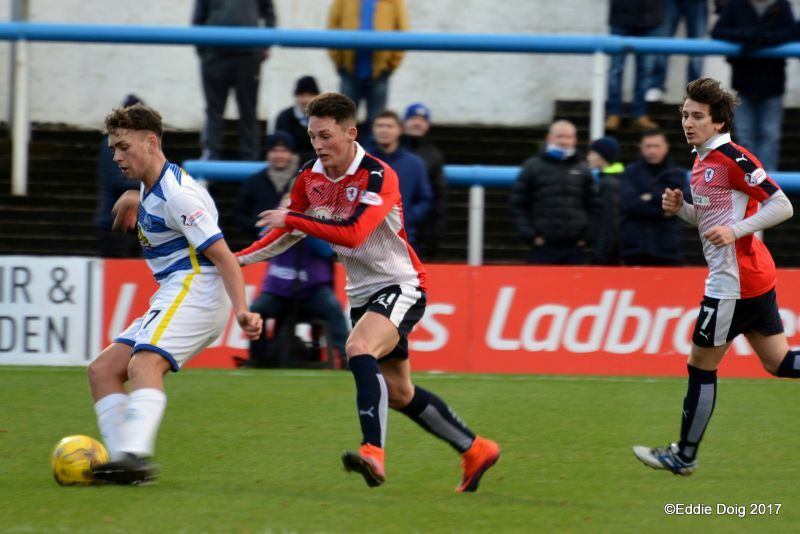 Raith Rovers travel to Greenock this weekend, looking to put a poor run behind them by taking maximum points against a Morton side who are currently six points ahead of Gary Locke’s team, and are unbeaten in four league matches. 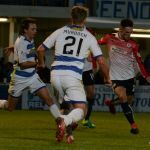 Whilst Rovers head into the match on the back of a 4-1 home defeat to Falkirk, Morton were gaining ground on Dundee United in second place last weekend, with a 2-1 win over Dumbarton, the goals coming from a Gregor Buchanan own goal and a Michael Tidser penalty. 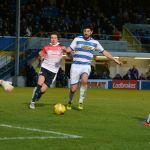 The win continued Morton’s excellent home form this season, which sees them unbeaten at Cappielow, with only second placed Dundee United picking up more home points in the Championship this term. 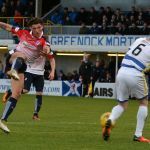 This will be just the second meeting between the sides this season, after the scheduled meeting at Stark’s Park in November was moved, due to Morton’s Scottish Cup tie against Beith having to be rescheduled due to a cancellation. 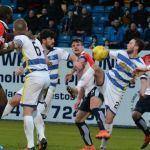 That last meeting was back in October, when a Ross Forbes free-kick was enough to separate the teams in a 1-0 win for The ‘Ton. 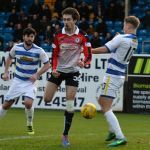 It was Morton’s first win in the fixture in ten attempts, and if they were to win on Saturday, it’ll be the first time they’ve managed two successive league wins over the Kirkcaldy club since the 2009/10 season. 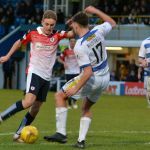 Despite the recent set-back, Rovers have an excellent record in this fixture, with seven wins and two draws from the last 10 meetings. 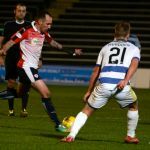 Saturday’s match referee will be Gavin Duncan.